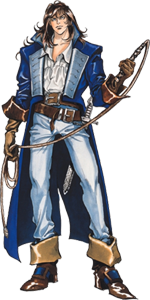 Richter Belmont was the new main protagonist of the Castlevania games after Simon, Trevor and Christopher. 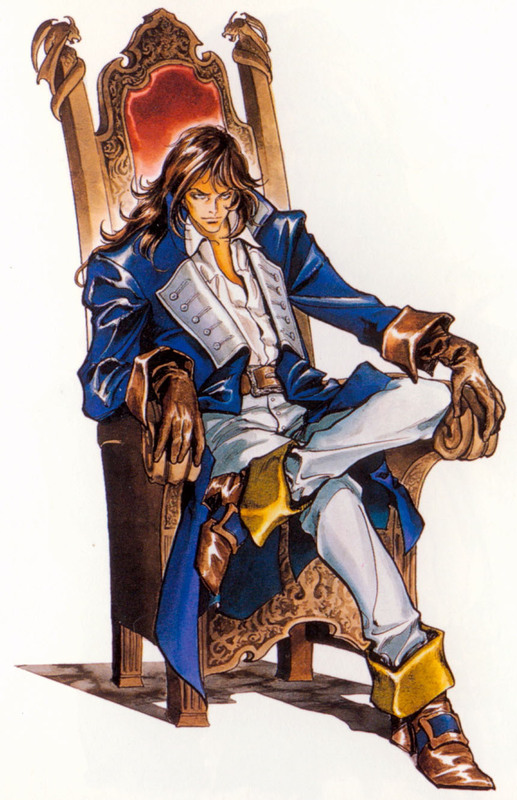 He was featured in 1993 and Castlevania: Rondo of Blood (PC Engine) for the first time and return in Dracula X as well as a hidden character ..and boss in Castlevania: Symphony of the Night. Richter Belmont was revealed to be in Nintendo’s Super Smash Bros. Ultimate (2018) as an echo character with Simon Belmon’ts moveset. Design wise he was a change of the more barbaric /warrior like looking earlier Belmont clan members. 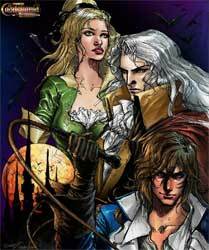 He is known as the most powerful of all the Vampire Hunters of the Belmont clan.